Copyrights are confusing to many people, even the people that actually make money from them. Most people don’t realize that, under the current copyright law, they actually own a lot of copyrights, from their childhood drawings to their blog articles (not their cooking recipes though; they’ve been deemed a formula and therefore uncopyrightable). A copyright is actually a bundle of rights that protect your ability to profit from your creative expression (books, movies, art, music, etc.). Under the copyright law, you have a copyright as soon as you have “an original work of authorship fixed in a tangible medium of expression.” In plain English, that means that as soon as you have created something original (and creative! ), and put it in a format that other people can access (written down, typed up, dictated into a recording device, filmed, etc. ), you immediately have a copyright. Assist in your efforts to make money from your work. 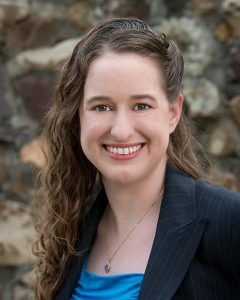 Kelley is well versed in literary law, and many of her copyright clients have been authors and publishers. In fact, Kelley’s very first client was the rights holder for the works of a New York Times bestselling author. I found my consultation with Kelley A. Way extremely helpful. As a first-time author seeking publication, I learned a lot. Kelley was terrific to talk to – smoothed my feathers with terrific high value advising and clarifying questions. I started the call a nervous wreck… finished the call with a deep grateful sigh. In fact, Kelley in her empathetic confident way told me to take a deep breath. Best legal advice I’ve ever received. I really appreciate when an expert like Kelley explains complex issues in terms I can easily understand. Her explanation of why and how to protect my intellectual property were clear, they dispelled old myths I’d heard, and her good examples mean I will remember what she told me. Kelley Way is an articulate and friendly attorney who clearly discussed with me my questions about copyright and trademarks. She gave me valuable resources for social media usage of creative elements. I feel reassured knowing the law behind social media. Kelley gave me clear succinct advice about copyrighting my work. It eased my concerns and clarified whether and how my clients can re-use content I create for them. I highly recommend Kelley – her expertise and common sense approach are unparalleled. I have questions about copyright often. Can I do this? How do I handle that? Whether it’s about a work contract, a piece of work, or a convoluted what-if issue, Kelley makes it easy to get the answers and services I need. She is clear, practical, and affordable. Kelley helped with and registered a copyright certificate for me. The transaction was neat and efficient, and I would go again to her for anything of this nature. Five stars for quick good work! Kelley was so helpful in reviewing my publishing contract. She responded quickly to my request, was thorough in her assessment and recommendations, and efficient. It ended up being very affordable and well worth it to have legal advice with this big step of becoming a published author. Thank you, Kelley!